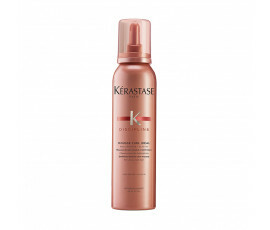 Kérastase creates smoothness "in-motion" for a perfect natural controlled effect on curly, unruly hair. 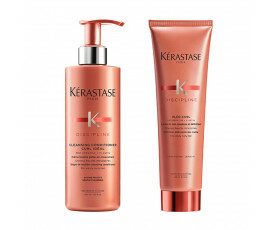 Discipline Curl Idéal is the first Kérastase treatment for curly and wavy "in-motion" hair that provides well-defined flexible fibre and amazing "in-motion" curls. 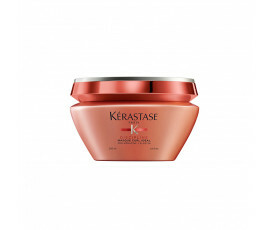 This unique formula perfectly tames the hair surface, providing an extremely supple fibre. 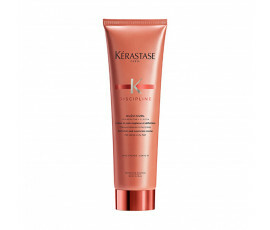 Enriched with Pro-Kératine™, it smooths and connects hair fibres together whilst Hydrolized Elastin strengthens them for immediate defined and detangled curly hair. 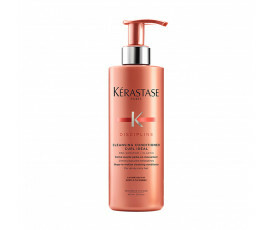 Try the perfect solution for detangled, bouncy curly hair.